MINEOLA, N.Y. – Acting District Attorney Madeline Singas announced the arrest and arraignment today of a Farmingdale man charged with falsely representing himself to clients as a Certified Public Accountant, when in fact he was not licensed, and causing at least two Nassau County taxpayers to be audited by the authorities and assessed penalties and interest as a result of his failure to file on their behalf. 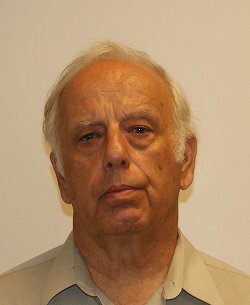 Edward Gottlieb, 74, of Farmingdale, was arraigned today before Nassau District Court Judge James Darcy on the following charges: Two counts of Unlicensed Practice (an E felony), two counts of Unauthorized Use of a Professional Title (an A misdemeanor), and Scheme to Defraud in the 2nd Degree (an A misdemeanor). Judge Darcy conditionally released the defendant to probation. If convicted of the top charge, Gottlieb faces a maximum sentence of 1-1/3 to four years in prison. He is due back in court on Feb. 17. Today’s arrest comes just over a week after Acting Nassau County District Attorney Madeline Singas announced the prosecution of Nassau tax cheats, including the arrest of a Baldwin tax preparer on larceny and fraud charges, and guilty pleas from an Hempstead tax service employee and her boyfriend for taking tax refund money belonging to clients. Acting DA Madeline Singas said that in 2008, a Levittown taxpayer was audited for tax years 2005 and 2006, at which time he hired Gottlieb to handle his audit. Between 2008 and 2014, Gottlieb told the taxpayer that he was handling the federal and subsequent state audits; however, Gottlieb was not communicating or complying with the IRS or the New York State Department of Taxation and Finance (NYSDTF). As a result of Gottlieb’s conduct, the Levittown taxpayer accrued several hundred thousand dollars in interest and penalties because Gottlieb convinced his client that he was rectifying his tax issues without addressing his client’s tax problems. In June 2013, a Massapequa taxpayer hired Gottlieb to amend her business’ New York State sales tax return and to prepare and file all further business taxes. Gottlieb accepted payment for his services and told the taxpayer that he had filed the amendment and the state was causing the delay. In actuality, Gottlieb never filed an amendment or any subsequent sales tax returns. Due to Gottlieb’s actions, his Massapequa client had to immediately enter a repayment plan with NYSDTF to prevent her business assets from being seized. The taxpayer now owes a sales tax liability, penalties and interest totaling over $20,000. According to DA investigators, Gottlieb has never been licensed as a Public Accountant or CPA in New York State. Assistant District Attorney April Montgomery of Acting DA Singas’ Economic Crimes Bureau is prosecuting the case. Gottlieb is represented by Darryn Solotoff, Esq. The charges against the defendant are merely accusations and the defendant is presumed innocent until and unless found guilty.